You may feel that you are perfectly capable of driving a car while under the influence of drugs. But it is only the drugs telling you this. In truth, you are taking a big risk every time you get behind the wheel while doing drugs. You are not only risking your life, but you are also risking the lives of other people as well. If you cannot stop this behavior, it is time to seek help. It is often difficult to see the problems that are right in front of us. But our loved ones do not have this problem. They can notice the smallest changes in behavior, and if they are noticing changes in your behavior because of drug use, you should take this seriously. This is because drugs have a way of destroying the strongest of relationships. So, if your loved ones are telling you that you need help, do not disregard it. If you are experiencing any of these symptoms when you stop using drugs, you should seek treatment as soon as possible. 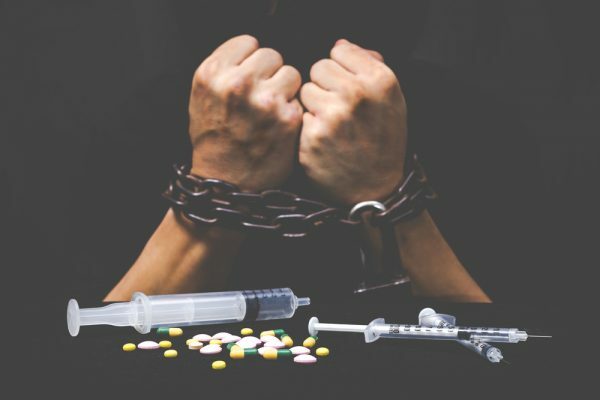 Getting treatment for addiction could be the only thing standing in the way of a long jail sentence. The choice should be obvious. It is not uncommon for drug use to lead to a variety of health problems. Some of these problems may be physical while others may mental, but they are all detrimental to your well being. Poor health is your body’s way of telling you to adjust your behavior. Do not take it lightly or disregard it. Also, if you have been hurting others while using drugs, you need to get help before the consequences of your actions could land you in serious trouble. Often the most telling sign that you have an addiction problem that requires help is that you yourself have tried to stop using drugs and have failed. If this describes you, then you have already admitted that you have a problem. The question is now what will you do about it. It is no sign of weakness or failure to admit that you can’t solve your drug problems on your own. Do not let your pride stand in the way of getting better. It is not unusual for those suffering from drug addiction to lie about their use. You may think that a lie is no big deal and you may rationalize away why you lie, but ask yourself this: why are you lying if you do not have something to hide? You should be especially worried about your lying if you are lying to yourself. Instead of going through all this deceit, isn’t better to seek treatment? In conclusion, if you are experiencing any of these signs of drug addiction, you should seek help. Your health and the health of others may depend on it.